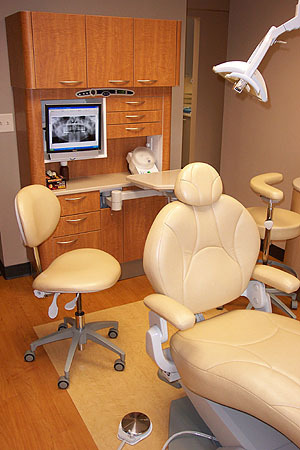 For you enjoyment, each dental treatment room has cable TV shown on 19 inch LCD monitors that can be positioned so that you can see them while being treated. We also broadcast various programs on 5 additional channels for your enjoyment. You can listen to the TV using headsets if you prefer.